The illusion of "The Wall Cafe"
Carefully look into the picture. 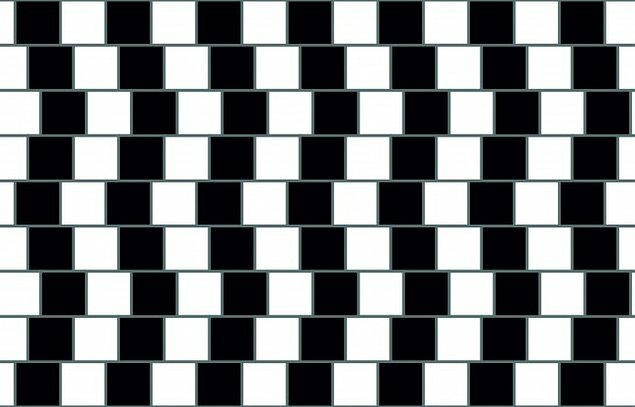 At first glance it seems that all the lines are curved, but in reality, they are parallel. This optical effect was discovered by Richard Gregory in the Wall cafe in Bristol, where it got its name. People say bless you when you sneeze, because your heart stops for a millisecond. 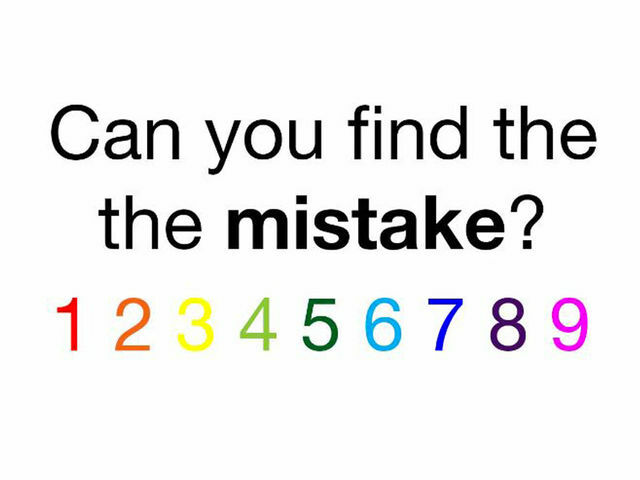 ANSWER: Click on the image to reveal the mistake. 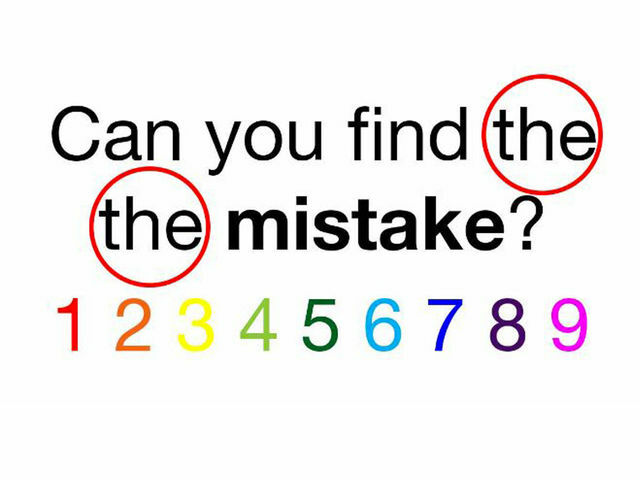 The common myth that humans only use 10% of their brains is totally wrong. Researchers using brain imaging research techniques have found that brain scans clearly show that we use most of our brain most of the time, Even while we sleep.